509 Creative’s work with local non-profit Keep Truckee Meadows Beautiful (KTMB) highlights the company’s diversity. Not only does it speak of the company’s design capabilities but also the company’s printing ability. Since taking KTMB on as a client, 509 Creative worked with the organization’s logo and has designed all printing materials from business cards to letterhead to signs to advertisements. 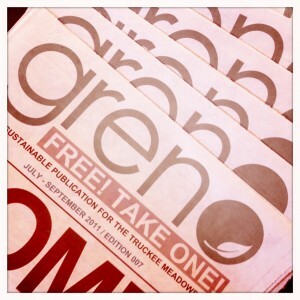 KTMB also used 509 Creative to design a 16-page publication, Greno. With design and printing, 509 Creative takes pride in helping KTMB achieve its goals.